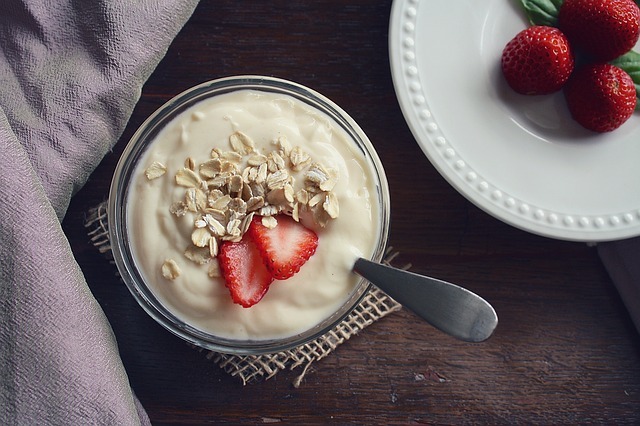 Plain yoghurt is extremely healthy as it contains lots of natural probiotics which are great for your digestive health. All yoghurt costs you is the milk to make it. Bonus points if you are able to buy fresh milk on tap as you will be eliminating the need for plastic packaging. 1. Warm enough full-cream milk to fill your thermos flask, just short of boiling on the stove. 2. Cool the milk until it is just a bit warmer than body temperature (around 43 degrees Celsius if you wish to check with a thermometer) then add half a cup of natural live yogurt (your starter) and gently stir it in. (Use some kept aside from your previous batch, or if this is your first batch, full-cream plain/Greek yoghurt from Woolworths works well). 3. Pour the mixture into a thermos flask and close. 5. Decant into 1 litre Sinchies pouches and use as needed. 3. Add about half a cup of natural live yogurt in (your starter) and gently stir it in. (Use some kept aside from your previous batch, or if this is your first batch, full-cream plain/Greek yoghurt from Woolworths works well). 4. Cover with a towel and leave overnight in a warm place. It will be ready for breakfast. You might notice that once the yoghurt is ready, it has separated. Don’t worry about this – the liquid is whey. You can either mix it back into the yoghurt, or you can strain it out with cheesecloth. If you do strain it out, use the whey as a base for soups and stews as it is also good for you and full of protein. It does take several hours to strain, which is why I usually just stir it back in. Shop bought flavoured yoghurt is full of excess sugar and additives that kill off the probiotics, and negate the benefits of natural yoghurt. And here is a bonus recipe!